An absurdly enjoyable, gleefully theatrical riff on Alfred Hitchcock’s 1939 film. 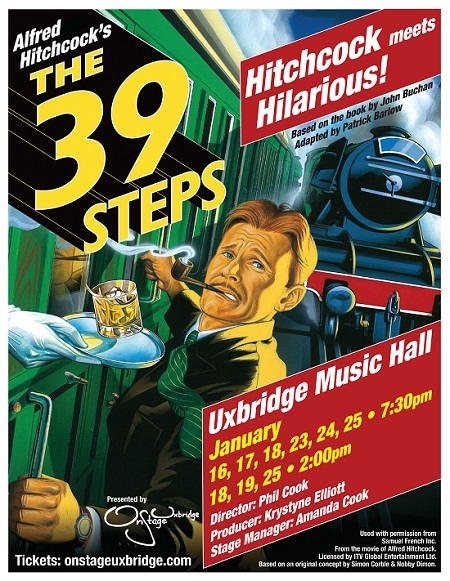 Mix a Hitchcock masterpiece with a juicy spy novel, add a dash of Monty Python and you have the Tony and Drama Desk Award-winning whodunit The 39 Steps. This fast-paced treat is packed with non-stop laughs, zany characters, planes, trains, handcuffs, missing fingers, and some good old-fashioned romance!